These self-catering apartments have been tastefully refurbished to a very high standard, to make your stay as comfortable as possible. The accommodation is situated in one wing of the Grade II Listed Hall. 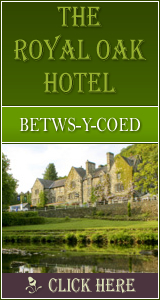 It is within walking distance of the village of Betws-y-Coed in the Snowdonia National Park in North Wales. The self catering accommodation comprises of six self catering apartments - for a more detailed look at the apartments see www.selfcatering-in-snowdonia.co.uk. All apartments have free Wi-fi internet access. -Three first floor apartments with 1 bedroom sleeping 2 (SuperKing/Twin beds). -One second floor apartment with 1 bedroom sleeping 2 ( Superking/Twin Beds). -Ground floor apartment with 1 bedroom sleeping 2 (SuperKing/twin beds). This apartment has wider doors designed to enable easier access for the less able. -Ground floor apartment with 3 bedrooms sleeping 6 (2 with SuperKing/twin beds, and 1 with bunk beds). With the Apartments we can accommodate up to 16 people. (if there is more contact us) Making this the place to stay for larger groups. e.g. Family re-unions, walking groups or just a large group of friends who want to all be together but in separate self catering accommodation. Booking early is a must, so as not to be disappointed. The Hall is situated in its own grounds on the banks of the River Conwy. About half a mile from the picturesque village of Betws y Coed, The Gateway to the Snowdonia National Park. Guests can walk in the grounds which include a length of private riverside - a perfect place to relax at the end of a day spent exploring this beautiful part of Snowdonia. This is the ideal base from which to explore and enjoy the many activities and attractions that North Wales has to offer. 1570 Click Throughs => �785 Since 13/May/2013 based on an example �0.50 cost of a click through from Google pay per click. The click through ratio to this accommodation provider's own website Since 13/May/2013 is 17% .